2013 was the second year I participated in the Crime Fiction Alphabet meme, sponsored by Kerrie at Mysteries in Paradise. This year, I did have a theme for my posts. 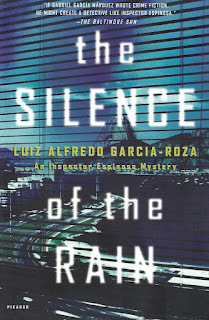 My theme was authors or books in the sub-genre of police procedurals. At Wikipedia, this is broadly defined as "a subgenre of detective fiction which attempts to convincingly depict the activities of a police force as they investigate crimes." I was aware that I have a preference for mysteries where the detective is in the police force, but I was surprised to find how many mysteries I own that feature such detectives. And after finishing the Crime Fiction Alphabet I still have a lot left to read. 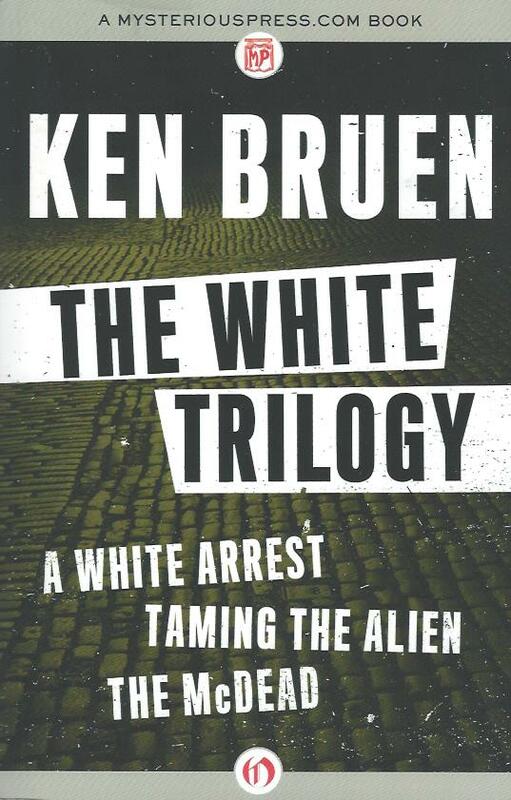 My absolute favorite read of these books was The White Trilogy by Ken Bruen. I loved all three books in the trilogy, but especially Taming the Alien and The McDead. 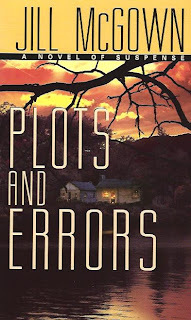 Plots and Errors by Jill McGown was a re-read but still was another top read in this group. 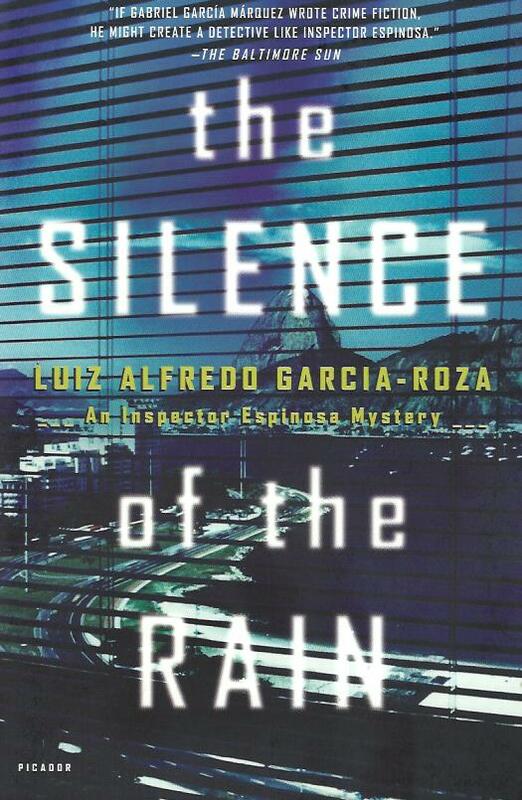 Also The Silence of the Rain by Luiz Alfredo Garcia-Roza. What a wide selection - well done Tracy! I've read 8 or 9 of them (mostly clustered round the middle of your alphabet for some reason...). Will you do it again in 2014? Moira, I am planning to do it again, assuming Kerri at Mysteries in Paradise hosts the meme again in 2014. Probably won't go for a theme this time though. Tracy - Thanks for sharing this summing-up. I learned a lot from your participation in the meme, and Moira's right - you've got a terrific variety here. Thanks, Margot. It was fun and I look forward to doing it again next year. I've also read nine of these books, but you've got some other interesting titles here. I was chugging along reading at a good clip, but then life got in the way, and I haven't been able to get back to reading crime fiction. And I'm right in the middle of the latest Sara Paretsky, Critical Mass, which is excellent, full of feistiness, wit and some science and WWII history. Kathy, that Paretsky book sounds good. I read some of her earlier books, but now it has been so long I need to start at the beginning again. I am not getting as much reading done lately either. This always seems to happen at the end of the year, like I run out of steam. Yes, Tracy, lots of variety and dedication. Thanks for sharing this list. Thank you, Prashant. I want to read more by most of these authors. Thanks, Col. I am sure you will like McBain. And the first ones are short books. Very satisfying. Rosanna is the first book in that series. I had probably read it years ago too... but none of it came back to me as I was reading it. Congrats on finishing the meme. I enjoyed all your posts. Thanks, Sarah. It is an effort to keep up with the entire alphabet, but I love lists, and this was a great opportunity to make lots of lists, and revise, and reconsider. Congrats on finishing such a long meme this year, Tracy. 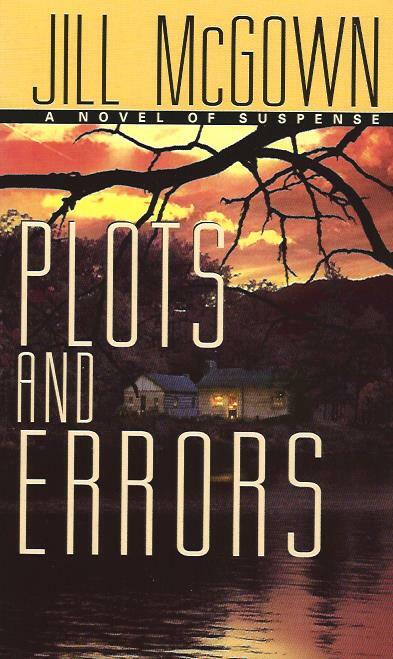 I've read 5 or 6 of these authors, and I hope to get to Ken Bruen soon. I love this wrap up post too. Thanks, Rebecca. 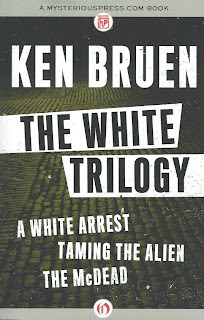 Ken Bruen is one of my favorite authors. Not for everyone, but definitely worth trying.